First one involves the combustion of biomass to produce very hot gases and steam which in turn is used to rotate the motor in the generator to produce electricity. In the second method, a fluidized bed system is used in which there is a layer of incombustible material, mostly sand, and the biomass is combusted in it. This reaction is extremely exothermic which means that the efficiency of the system is quite good and great output is achieved. Last method involves the production of a gas using biomass, which is clean and can not only be used to produce power but also for heating purposes. The best thing about biomass systems is that it is a cheap source of electricity. Rates are different in different parts of the world, but in America, it costs about $3,000 to $5,000 per kilowatt of electricity which means that the cost of each kWh unit is about $0.08 to $0.15. Compared to large systems, small systems have higher costs and low efficiency. An interesting fact related to this system is that if you live in a rural or an agricultural area, then this system can be of great help. Your fuel cost will almost be zero because you can get your fuel from your dairy farms, animals or agricultural lands. 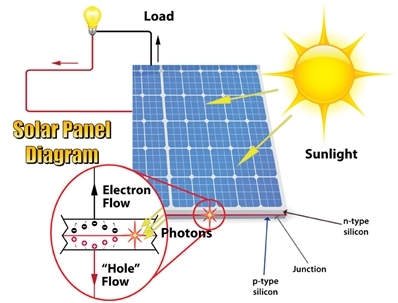 The working of a solar panel is simple. Made up of semiconductor element- silicon, the cell has a p conductor and an n conductor. The set of the two along with a junction in between them creates an electric field, such that, when photons (light) are absorbed at p conductor, electricity is produced due to the movement of electrons from p to n conductor. The efficiency of this system is 10%-17%, depending on climatic conditions, which means that an average panel of 20×44 inches can produce a power output of 1-2 kWh during “peak sun hours” on a sunny day. Though solar panels are thought as an expensive way of producing power, but if they are made using modern techniques like using graphene instead of silicon and that they are produced in bulk, then the electricity produced will be very economical. If we compare these projects, we will conclude that wind power projects are best in terms of power output but they are installed in remote areas like coastal strips and the installation cost in somewhat high. Whereas, the solar panels and biomass fuel cells can easily be installed in homes and can be used to generate small amounts of electricity enough to meet the requirements of household appliances. And, if we go beyond these methods, then petrol and gas powered generators seem like viable options, but their running expanses like fuel costs are quite high. 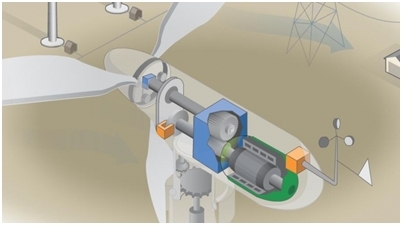 or copy this trackback: http://engineering.electrical-equipment.org/energy-efficiency-news/cost-effective-energy-projects.html/trackback from your own site.